New Mexico is a moderately strict state when it comes to New Mexico gambling regulations. The state does understand the value of gambling tax revenue, but it still has limitations when it comes to casino-style betting online. The Land of Enchantment is home to 24 land-based casinos and plans to license more in the future. Tribal reservations, as well as the New Mexico Gaming Board, oversee the 24 gambling establishments. These enterprises provide a way for residents to enjoy several types of casino style games such as poker, blackjack, and slot machines. The New Mexico State Lottery has been in operation for 20 years. With gambling tax revenue, the State Lottery has contributed over 620 million dollars towards education funding for New Mexican college students. With such success in putting tax revenue to use, the future of gambling is bright for New Mexico. Although no current online casinos are available in the state, residents can enjoy several gambling options online from home. What Type of Gambling is Legal in New Mexico? New Mexico state law does clarify that any form of gambling outside of New Mexico’s land-based establishments are illegal. First-time offenders of illegal gambling can result in a petty misdemeanor conviction. Operators or managers of illicit gambling do not get off so easily, State Statute 30-19-3 says, “A) It is unlawful for any person to, directly or indirectly, knowingly accept for a fee, property, salary or reward anything of value from another to be transmitted or delivered for gambling or pari-mutuel wagering on the results of a race, sporting event, contest or other game of skill or chance or any other unknown or contingent future event or occurrence whatsoever. Although New Mexico is strongly against gaming outside of the state’s licensed enterprises, federal law allows New Mexican residents to make legal wagers online through: horse and greyhound racing, fantasy sports betting, and skill games. New Mexico is also home to five horse and greyhound racing tracks. All of the gambling establishments are regulated and managed by the New Mexico Racing Commission, which license several online platforms to host gambling for each event. The sites that have the proper licensing are based in the United States and are held accountable to give members the gambling fairness they deserve. TVG is a multi-surface platform for both television and Internet users throughout the US. TVG leads the industry in providing live horse and greyhound racing both over the web and on TV in over 33 million homes. The company also greatly contributes mass amounts of charity to the sport and continues to host several events each year. Members can watch or stream horse and greyhound racing events 24/7, with helpful handicap information on every race. Sign up today or refer a friend to access wagering bonuses on your first race. XpressBet proves to be another excellent site for horse and greyhound racing. The site's easy to use and interactive features give both new and veteran members an exciting and informative experience. Users have access to insider tips for every race, as well as betting advice and money management. New members also receive a sign up bonus when they join the XpressBet community. Although every form of traditional sports betting is illegal in New Mexico, the new fast-paced alternative of fantasy sports betting is sweeping the nation. In 2006, the Unlawful Internet Gambling Enforcement Act made almost all online gambling illegal, with some exceptions. Congress exempted fantasy sports betting due to the game focusing on skill rather than chance. Participants have to take into consideration variables like coaching strategies, player types, injury reports, as well as other statistics that reflect one’s knowledge of the game. Currently, there are over 57 million users partaking in some fantasy sports league. Federal law regulates the US sites that operate under the Fantasy Sports Trade Association. Residents of New Mexico can safely make real money wagers over the several sites that are in correspondence with the state law. DraftKings is one of the leading platforms for fantasy sports betting in the US, hosting events and tournaments every day. The site offers single day or week leagues, allowing members to avoid the lasting commitment. DraftKings will match all new member’s first deposits with a signup bonus. Test your knowledge with friends or with other sports fans online today on DraftKings. Learn more by reading the DraftKings Review! FanDuel is another powerhouse site for daily and weekly fantasy sports leagues. FanDuel offers fantasy leagues for all the main professional sports as well as some college sports. Members get access to player statistics that are both past and current. When you join the FanDuel family, the site will guarantee that you enjoy your first fantasy league experience or your money back. New Mexico is very specific toward online gambling offenses. Although the state cannot enforce punishment on all offenders, the State Statute clarifies that playing on overseas sites are illegal. 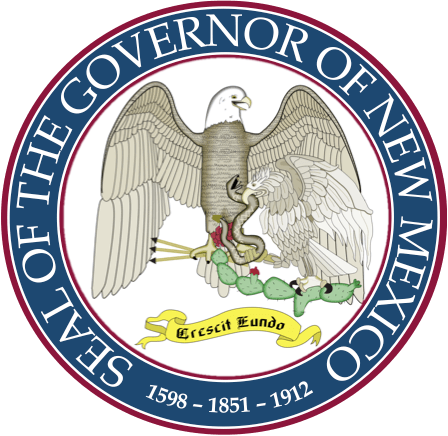 New Mexico public gaming states, “the State of New Mexico, and the New Mexico Gaming Control Board do not regulate, license, control or in ANY way sanction, endorse or approve any Internet or online gambling, betting activity, wagering or any aspect thereof. Any statement, reference or opinion to the contrary is wrong. Such activity is strictly prohibited and not authorized, approved or sanctioned in any manner by New Mexico regulatory authorities.” It is safe to say that the state law is meant to protect its residents since offshore sites do not have the proper regulations. Though foreign sites may be available to New Mexico residents, these sites do not guarantee you fair play or that you will walk away with all of your winnings. New Mexico does not allow poker in any form outside of its current land-based establishments. Residents are not even permitted to host a social game of poker in their own home, leaving little room for online expansion for the casino-style table game. If the state is ever to open the door to online poker, it will do so through its relations with the tribal reservations. If the tribes are to consider online gaming, they will have to purpose a state bill. The state of New Mexico has never nor will ever permit traditional sports betting. The state does not even allow the gambling form within its brick and mortar casinos. Residents should know that any underground bookie, or offshore sportsbook is illegal and unsafe to play in the state of New Mexico. Placing a wager is subject to the petty misdemeanor penalty of no more than six months in prison and $500 fine. Any person thinking to operate an underground sportsbook is subject to a far greater penalty of $5000 and could face up to 18 months in jail. It is always safer to gamble on sports through the legal alternative. Residents can place bets online on horse and greyhound racing sites that hold proper licensing with New Mexico Gaming Board. New Mexicans can also try their hand at fantasy sports betting, which is just as exciting as traditional sports betting, but with better odds to win. The state of New Mexico does not permit any casino gambling online. The state does allow residents to bet on skill games on Internet platforms such as King and WorldWinner. These casino alternative prove to be more complicated than typical casino style slot or table games but pay out real cash prizes and jackpots. WorldWinner is the largest interactive site to play popular games like Wheel of Fortune and Candy Crush Saga. The site has its gaming license through the Game Show Network (GSN) and continues to host everyday competitions and tournaments. Sign up today and play for free to try it out. King’s platform also provides an excellent and reliable gaming experience for its users with a wide variety of online games. Members get access to games like Scrabble Blocks and Solitaire Rush. King allows players to go head to head with friends or to get paired up with another avid online gamer. Try your favorite game free on King today. Though New Mexico seems restrictive toward casino gambling outside its 24 brick and mortar establishments, residents have many safe and legal options to get some gambling action online. Remember it is always safest to stay away from overseas gaming sites and underground gambling enterprises. Residents of New Mexico should try their hand at the fun options available that are within the boundaries of the law. Enjoy your gambling experience and good luck!